The Max Planck Society for the Advancement of Science (German: Max-Planck-Gesellschaft zur Förderung der Wissenschaften e. V.; abbreviated MPG) is a formally independent non-governmental and non-profit association of German research institutes founded in 1911 as the Kaiser Wilhelm Society and renamed the Max Planck Society in 1948 in honor of its former president, theoretical physicist Max Planck. The society is funded by the federal and state governments of Germany. According to its primary goal, the Max Planck Society supports fundamental research in the natural, life and social sciences, the arts and humanities in its 84 (as of December 2017) Max Planck Institutes. The society has a total staff of approximately 17,000 permanent employees, including 5,470 scientists, plus around 4,600 non-tenured scientists and guests. The society's budget for 2015 was about €1.7 billion. 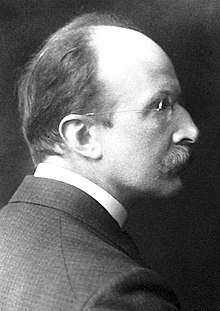 As of December 31, 2016, the Max Planck Society employed a total of 22,995 staff, of whom 14,036 were scientists, which represents nearly 61 percent of the total number of employees. 44.3% were female employees and 27% of all of the employees were foreign nationals. The Max Planck Institutes focus on excellence in research. The Max Planck Society has a world-leading reputation as a science and technology research organization, with 33 Nobel Prizes awarded to their scientists, and is widely regarded as one of the foremost basic research organizations in the world. In 2018, the Nature Publishing Index placed the Max Planck institutes third worldwide in terms of research published in Nature journals (after the Chinese Academy of Sciences and Harvard University). In terms of total research volume (unweighted by citations or impact), the Max Planck Society is only outranked by the Chinese Academy of Sciences, the Russian Academy of Sciences and Harvard University in the Times Higher Education institutional rankings. The Thomson Reuters-Science Watch website placed the Max Planck Society as the second leading research organization worldwide following Harvard University in terms of the impact of the produced research over science fields. The Max Planck Society and its predecessor Kaiser Wilhelm Society hosted several renowned scientists in their fields, including luminaries such as Otto Hahn, Werner Heisenberg, and Albert Einstein. The organization was established in 1911 as the Kaiser Wilhelm Society, or Kaiser-Wilhelm-Gesellschaft (KWG), a non-governmental research organization named for the then German emperor. The KWG was one of the world's leading research organizations; its board of directors included scientists like Walther Bothe, Peter Debye, Albert Einstein, and Fritz Haber. In 1946, Otto Hahn assumed the position of President of KWG, and in 1948, the society was renamed the Max Planck Society (MPG) after its former President (1930–37) Max Planck, who died in 1947. The Max Planck Society has a world-leading reputation as a science and technology research organization. In 2006, the Times Higher Education Supplement rankings of non-university research institutions (based on international peer review by academics) placed the Max Planck Society as No.1 in the world for science research, and No.3 in technology research (behind AT&T Corporation and the Argonne National Laboratory in the United States). The domain mpg.de attracted at least 1.7 million visitors annually by 2008 according to a Compete.com study. The society's logo features Minerva, the Roman goddess of wisdom. Since 2004, the Max Planck Research Award is conferred annually to two internationally renowned scientists, one of whom works in Germany and one in another country. Calls for nominations for the award are invited on an annually rotating basis in specific sub-areas of the natural sciences and engineering, the life sciences and the human and social sciences. The objective of the Max Planck Society and the Alexander von Humboldt Foundation in presenting this joint research award is to give added momentum to specialist fields that are either not yet established in Germany or that deserve to be expanded. The Max Planck Society is formally an eingetragener Verein, a registered association with the institute directors as scientific members having equal voting rights. The society has its registered seat in Berlin, while the administrative headquarters are located in Munich. Since June 2014, materials scientist Martin Stratmann has been the President of the Max Planck Society. Funding is provided predominantly from federal and state sources, but also from research and licence fees and donations. One of the larger donations was the castle Schloss Ringberg near Kreuth in Bavaria, which was pledged by Luitpold Emanuel in Bayern (Duke in Bavaria). It passed to the Society after the duke died in 1973, and is now used for conferences. The Max Planck Society consists of over 80 research institutes. In addition, the society funds a number of Max Planck Research Groups (MPRG) and International Max Planck Research Schools (IMPRS). The purpose of establishing independent research groups at various universities is to strengthen the required networking between universities and institutes of the Max Planck Society. The research units are located across Europe. In 2007 the Society established its first non-European centre, with an institute on the Jupiter campus of Florida Atlantic University focusing on neuroscience. The Max Planck Institutes operate independently from, though in close cooperation with, the universities, and focus on innovative research which does not fit into the university structure due to their interdisciplinary or transdisciplinary nature or which require resources that cannot be met by the state universities. Internally, Max Planck Institutes are organized into research departments headed by directors such that each MPI has several directors, a position roughly comparable to anything from full professor to department head at a university. Other core members include Junior and Senior Research Fellows. Max Planck Society also has a collaborative center with Princeton University—Max Planck Princeton Research Center for Plasma Physics—located in Princeton, New Jersey, in the U.S. The latest Max Planck Research Center has been established at Harvard University in 2016 as the Max Planck Harvard Research Center for the Archaeoscience of the Ancient Mediterranean. Max Planck Institute for the Study of the Scientific-Technical World in Starnberg (from 1970 until 1981 (closed)) directed by Carl Friedrich von Weizsäcker and Jürgen Habermas. The Max Planck Society describes itself as "a co-founder of the international Open Access movement". Together with the European Cultural Heritage Online Project the Max Planck Society organized the Berlin Open Access Conference in October 2003 to ratify the Bethesda Statement on Open Access Publishing. At the Conference the Berlin Declaration on Open Access to Knowledge in the Sciences and Humanities was passed. The Berlin Declaration built on previous open access declarations, but widened the research field to be covered by open access to include humanities and called for new activities to support open access such as “encouraging the holders of cultural heritage” to provide open access to their resources. The Max Planck Society continues to support open access in Germany and mandates institutional self-archiving of research outputs on the eDoc server and publications by its researchers in open access journals within 12 months. To finance open access the Max Planck Society established the Max Planck Digital Library. The library also aims to improve the conditions for open access on behalf of all Max Planck institutes by negotiating contracts with open access publishers and developing infrastructure projects, such as the Max Planck open access repository. In 2008 the European General Court ruled in a case brought by a PhD student against the Max Planck Society that "a researcher preparing a doctoral thesis on the basis of a grant contract concluded with the Max-Planck-Gesellschaft zur Förderung der Wissenschaften eV, must be regarded as a worker within the meaning of Article 39 EC only if his activities are performed for a certain period of time under the direction of an institute forming part of that association and if, in return for those activities, he receives remuneration". In 2012 the Max Planck Society was at the centre of a controversy about some PhD students being given employment contracts. Of the 5,300 students who at the time wrote their PhD thesis at the 80 Max Planck Institutes 2,000 had an employment contract. The remaining 3,300 received grants of between 1,000 and 1,365 Euro. According to a 2011 statement by the Max Planck Society "As you embark on a PhD, you are still anything but a proper scientist; it’s during the process itself that you become a proper scientist... a PhD is an apprenticeship in the lab, and as such it is usually not paid like a proper job – and this is, by and large, the practice at all research institutions and universities". The allegation of wage dumping for young scientists was discussed during the passing of the 2012 "Wissenschaftsfreiheitsgesetz" (Scientific Freedom Law) in the German Parliament. ^ a b c d e f g "About us | Organization". Max-Planck-Gesellschaft. Retrieved 28 March 2015. ^ a b c d e f g "About us | Max Planck Society: Facts & Figures". Max-Planck-Gesellschaft. Retrieved 5 February 2017. ^ a b "About us | Short Portrait". Max-Planck-Gesellschaft. Retrieved 28 March 2015. ^ "Facts and Figures | Max-Planck-Gesellschaft". Mpg.de. Retrieved 2019-03-18. ^ "Top non-university institutions in science". Times Higher Education Supplement. Retrieved 2009-03-01. ^ "Max Planck Society attracts almost 2m visitors online yearly". Retrieved 2009-03-01. ^ "MPG Organization". Retrieved 1 March 2009. ^ a b "Institutes | Max Planck Institutes". Max-Planck-Gesellschaft. 2015. Retrieved 26 March 2015. ^ Check, Erika (20 September 2007). "Florida courts German life-sciences institute". Nature. 449 (7160): 264–265. Bibcode:2007Natur.449..264C. doi:10.1038/449264b. PMID 17882174. ^ "Max Planck Florida Institute for Neuroscience Website". ^ "Max Planck Society: postdoctoral and doctoral jobs notifications". DolPages. 2017. ^ "International - Max Planck Center / Partnerinstitute - Max Planck-Princeton Research Center for Plasma Physics". Max-Planck-Gesellschaft. 2015. Retrieved 26 March 2015. ^ "IMPRS for Intelligent Systems". ^ "International Max Planck Research School (IMPRS)". www.pe-imprs.mpg.de. Retrieved 11 June 2017. ^ "IMPRS Complex Surfaces in Material Science". www.imprs-cs.mpg.de. Retrieved 11 June 2017. ^ "International Max Planck Research School for Computer Science". www.imprs-cs.de. Retrieved 11 June 2017. ^ "Grünes Hamburg - Blog über Nachhaltigkeit und erneuerbare Energien -". Grünes Hamburg - Blog über Nachhaltigkeit und erneuerbare Energien. Retrieved 11 June 2017. ^ "Home - International Max Planck Research School". Imprs.tuebingen.mpg.de. 2019-02-21. Retrieved 2019-03-18. ^ "IMPRS-gBGC". imprs-gbgc.de. Retrieved 30 November 2017. ^ "Home". imprs-gw.aei.mpg.de. Retrieved 11 June 2017. ^ "IMPRS-HLR - IMPRS-HLR". imprs.mpi-hlr.de. Retrieved 11 June 2017. ^ "Welcome — IMPRS for Language Sciences — Max Planck Institute for Psycholinguistics". www.mpi.nl. Retrieved 11 June 2017. ^ "MSc/PhD/MD-PhD Neuroscience Program". www.gpneuro.uni-goettingen.de. Retrieved 11 June 2017. ^ "MarMic". www.marmic.mpg.de. Retrieved 11 June 2017. ^ "Max Planck Institute for Comparative and International Private Law - Activities of the Past Years". www.maritimeaffairs.org. Retrieved 11 June 2017. ^ "Welcome - IMPRS for Molecular Life Sciences: From Biological Structures to Neural Circuits". www.imprs-ls.de. Retrieved 11 June 2017. ^ "MSc/PhD Molecular Biology Program". www.gpmolbio.uni-goettingen.de. Retrieved 11 June 2017. ^ "PHP version not supported". www.imprs-mcbb.de. Retrieved 11 June 2017. ^ "IMPRS". www.imprs-mbm-cedad.mpg.de. Retrieved 11 June 2017. ^ "IMPRS on Multiscale Bio-Systems — IMPRS". imprs.mpikg.mpg.de. Retrieved 2017-03-16. ^ "Short Portrait". www.orn.mpg.de. Retrieved 11 June 2017. ^ "Homepage". www.orn.mpg.de. Retrieved 11 June 2017. ^ "PhD School". www.mpifr-bonn.mpg.de. Retrieved 11 June 2017. ^ "The 13th"Berlin OA conference" was the second one focussing on the large-scale transition of scholarly journals to Open Access as put forward by the OA2020 initiative". Retrieved 2017-05-06. ^ Regazzi, John J. (2015). Scholarly Communications: A History from Content as King to Content as Kingmaker. Rowman & Littlefield. p. 192. ISBN 0810890887. ^ "Germany - Global Open Access Portal". UNESCO. Retrieved 2017-05-08. ^ "The unstoppable rise of Open Access". Retrieved 2017-05-06. ^ "Case C-94/07 Andrea Raccanelli v Max-Planck-Gesellschaft zur Förderung der Wissenschaften eV". 17 July 2008. ^ "Wut der Doktoranden Schafft die Stipendien ab!". 28 March 2012. ^ "Scholarships are also a sign of quality What is a doctoral thesis all about?". Retrieved 20 April 2011. ^ "Wissenschaftsfreiheitsgesetz". 29 June 2012.